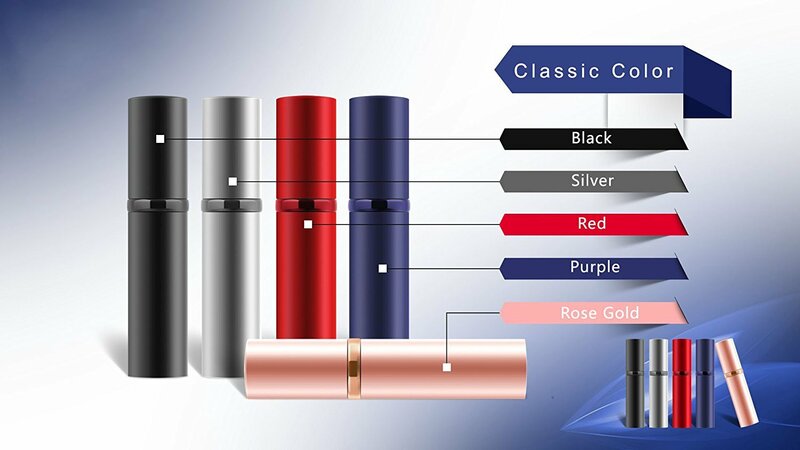 EXCLUSIVE TECHNOLOGY- BOTTOM PUMP, SAY NO TO YOUR FUNEL OR SYRINGE: It is easy and fast to fill in seconds from every standard perfume bottles. No need pouring funnel or syringe. 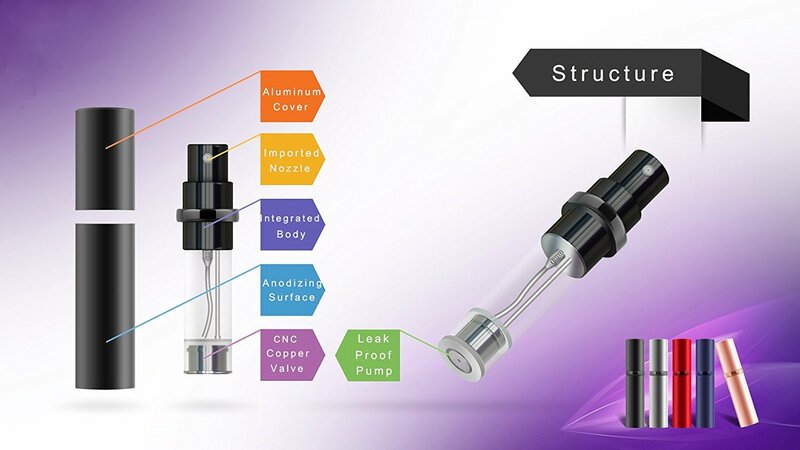 LEAKING PROOF & PORTABLE SIZE: Lightweight glass inner container & outer aluminum metal shell & pure CNC copper valve. Pure CNC copper valve make sure no leaking. 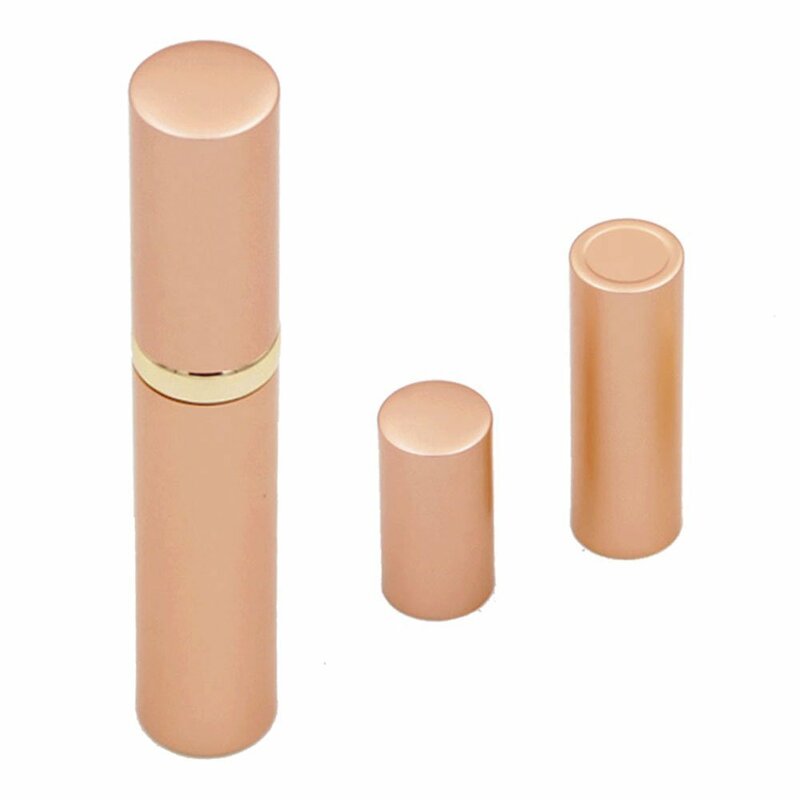 LUXURIOUS COLOR & DURABLE SURFACE TREATMENT: 4 Colors are alternative. 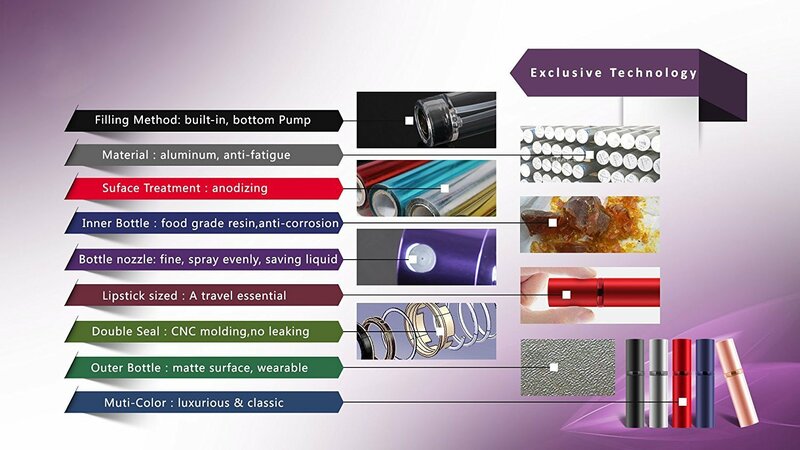 Anodize surface treatment ensure durable color, never fade away. 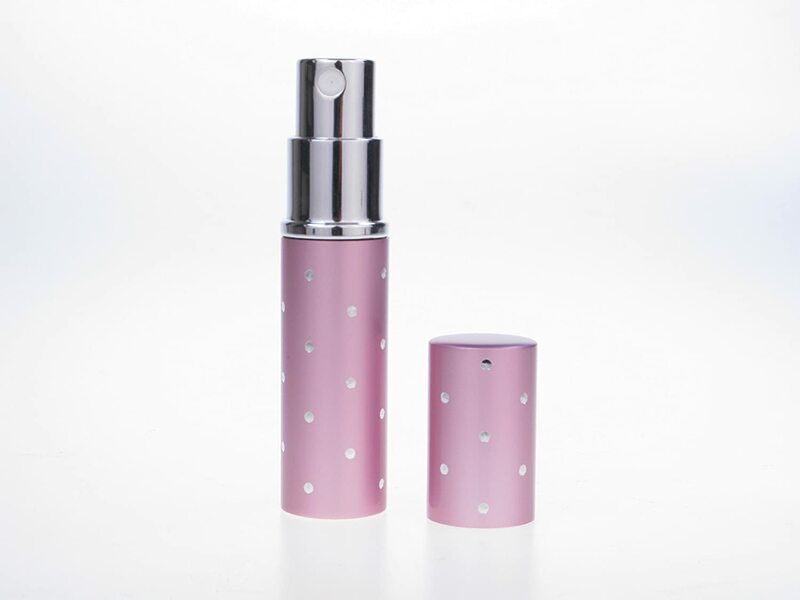 TSA APPROVED TRAVEL SIZE & BEST GIFT: It is handy to carry and storage in your pocket, handbag, cosmetic bag even on plane, etc. Best gift for your beloved ones. 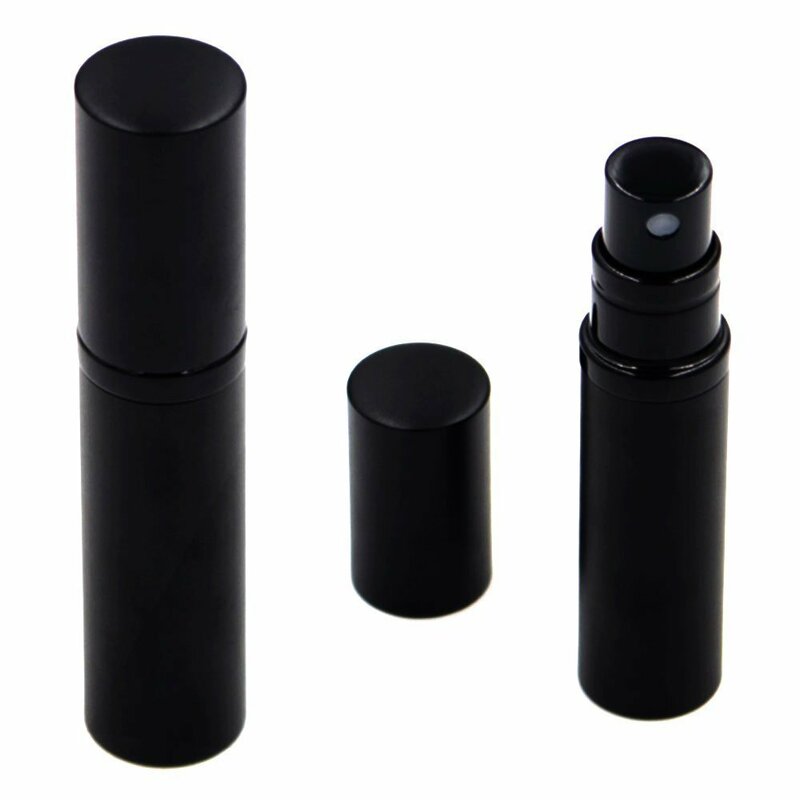 KINDLY NOTE: Inside of the box, one black instruction paper comes along with empty perfume atomizer, kindly check carefully! 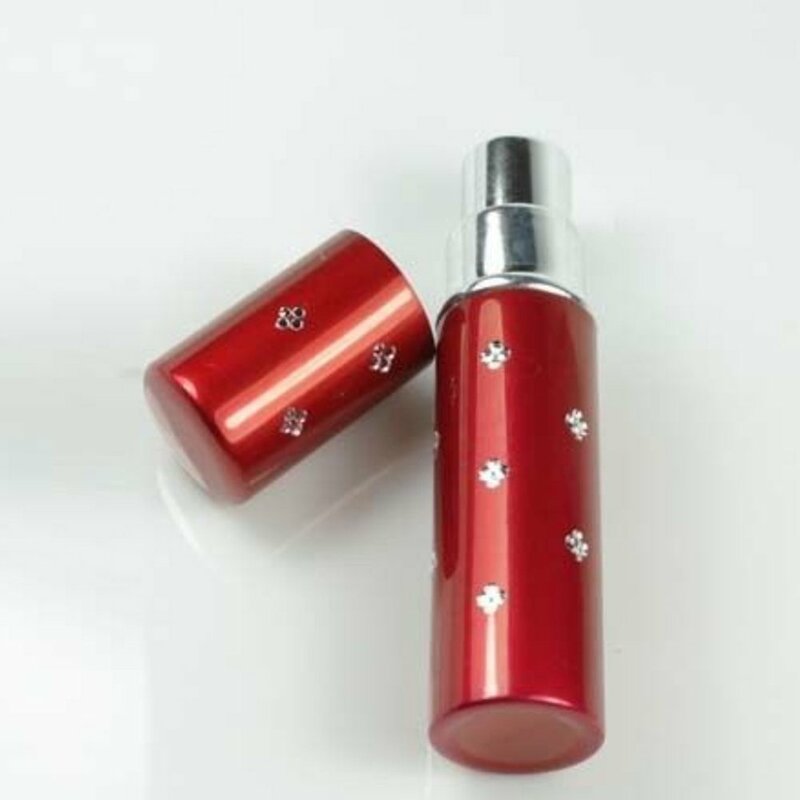 5ml Refillable Perfume Bottle --- Make you Beautiful and Elegant! 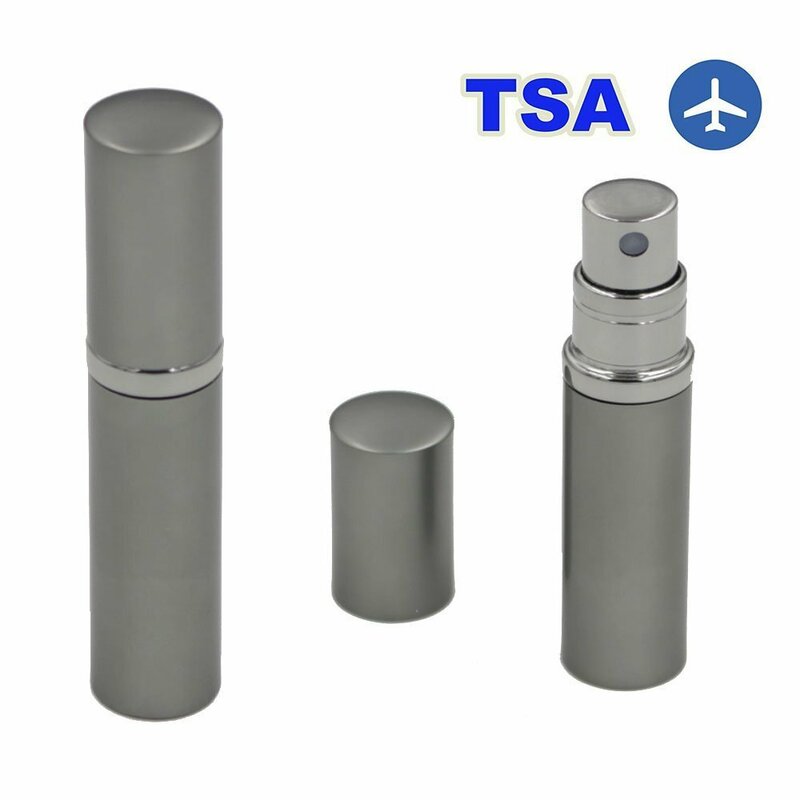 Air Travel Approved Size (TSA-friendly), perfect for storing any your standard favorite perfume, easy to take them and travel around. Perfect for traveling use; Private used for outdoor and indoor activity; Great gift for friends, lovers, relatives etc. 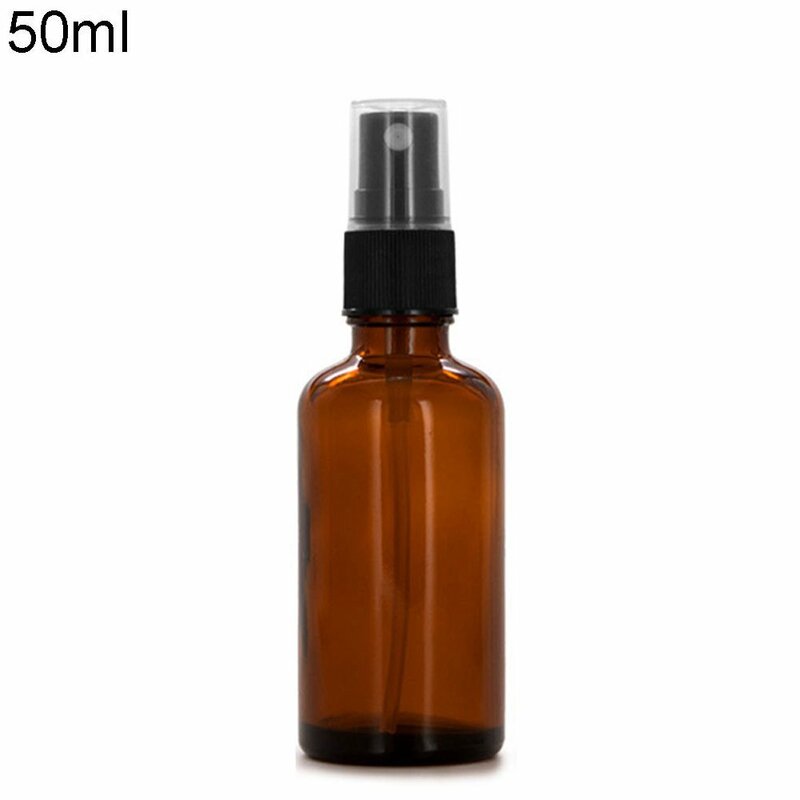 No need to take the whole bottle with you.Their unobtrusive size allows them to fit comfortably in your pocket, purse, handbag, backpack, or luggage, etc. 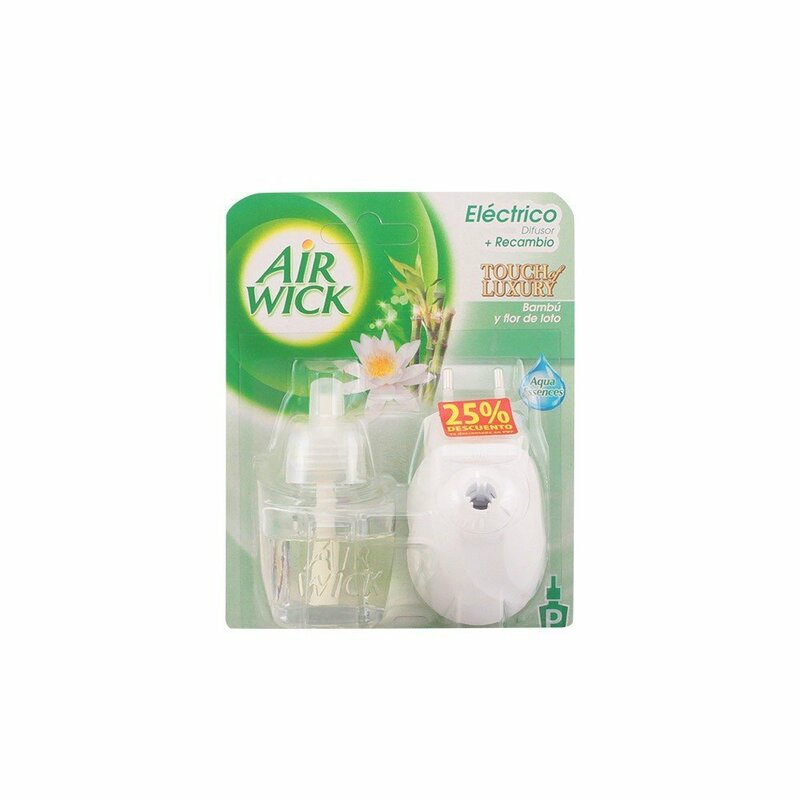 Keep this Refillable Perfume Bottle for a quick replenishing spray to keep your skin feeling fresh wherever you are and whenever you go. Refillable and Sharing any favorite Fragrance. 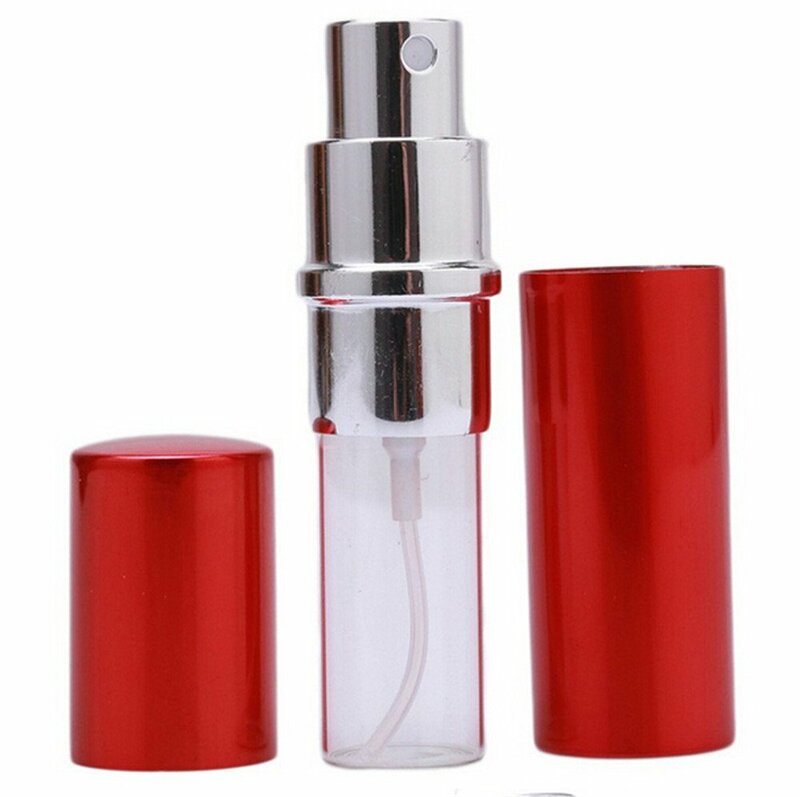 Refillable for multiple uses, this Refillable Perfume Bottle give you remarkably value for the low cost. 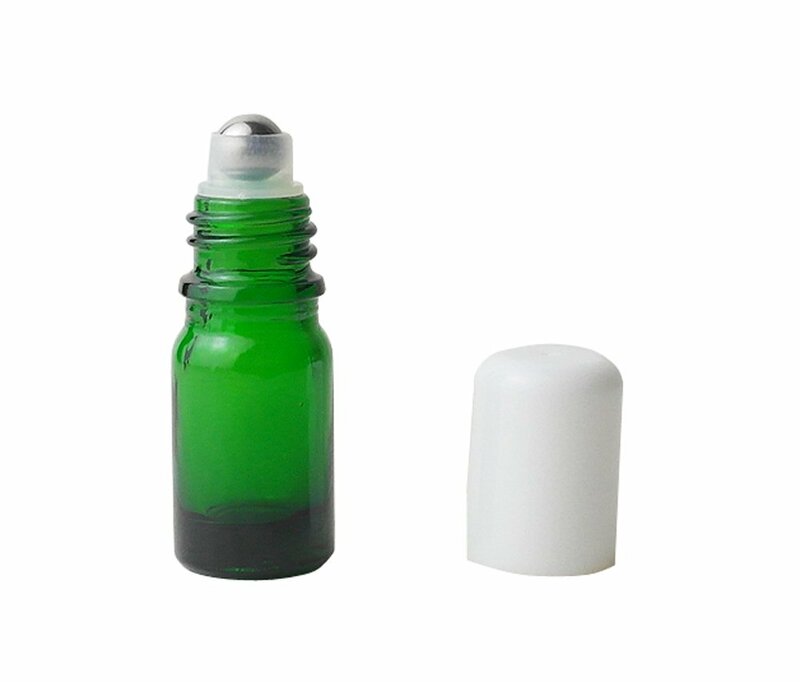 They are sure to be welcomed addition to any simply anyone in need of a reliable and attractive spray bottle solution. You gonna smells good and share any favorite Fragrance any time. Color: Hot color like Silver, Red, Black, Gold, Purple available. 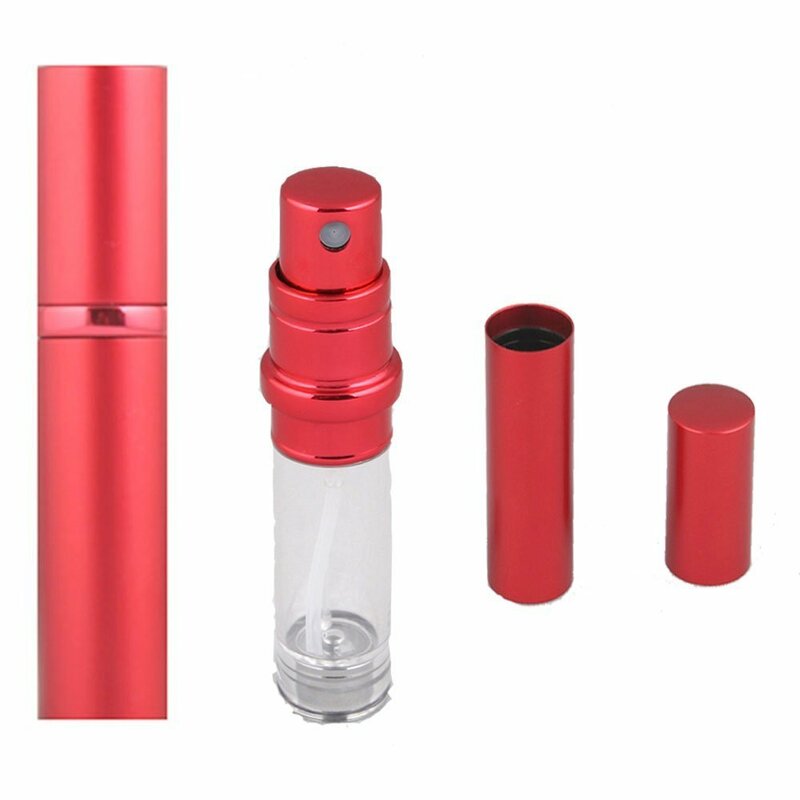 Material: Eco- Friendly glass inner container and Outer Aluminum Metal Shell and Pure CNC Copper Valve. Package included: 1 x Perfume bottle & 1* Black paper instruction paper inside of the box!!! 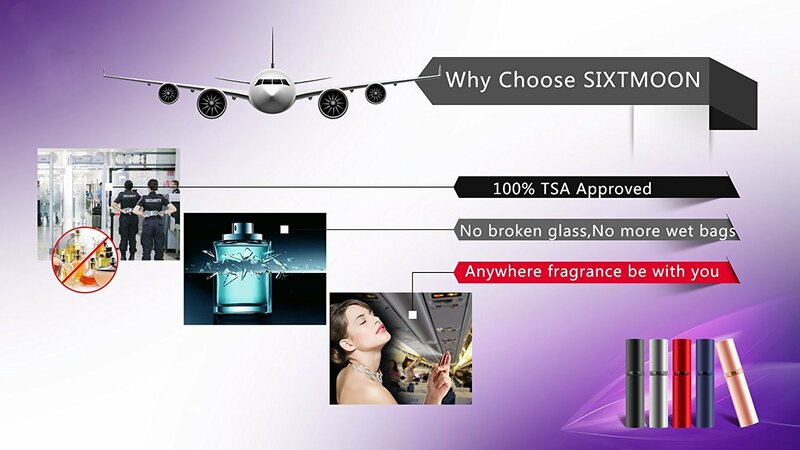 One bottle for one kind of fragrance. 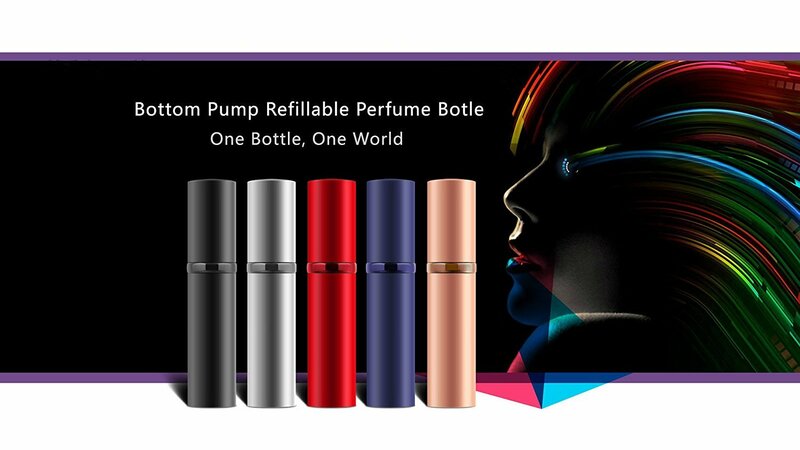 The bottom pump only can fit any standard perfume bottles. After wasting money on cheaper atomisers that leaked and wasted all my expensive perfume I am very pleased with this item. 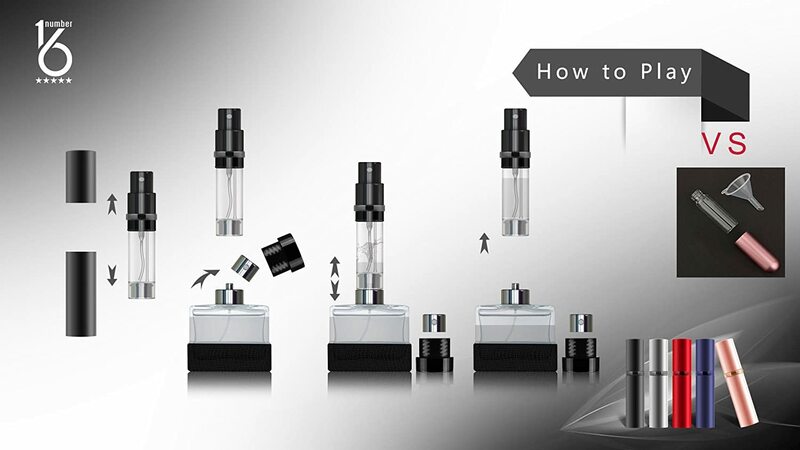 Its simple to fill from a spray perfume and doesnt leak. Looks good too. I will buy another. Fantastic. 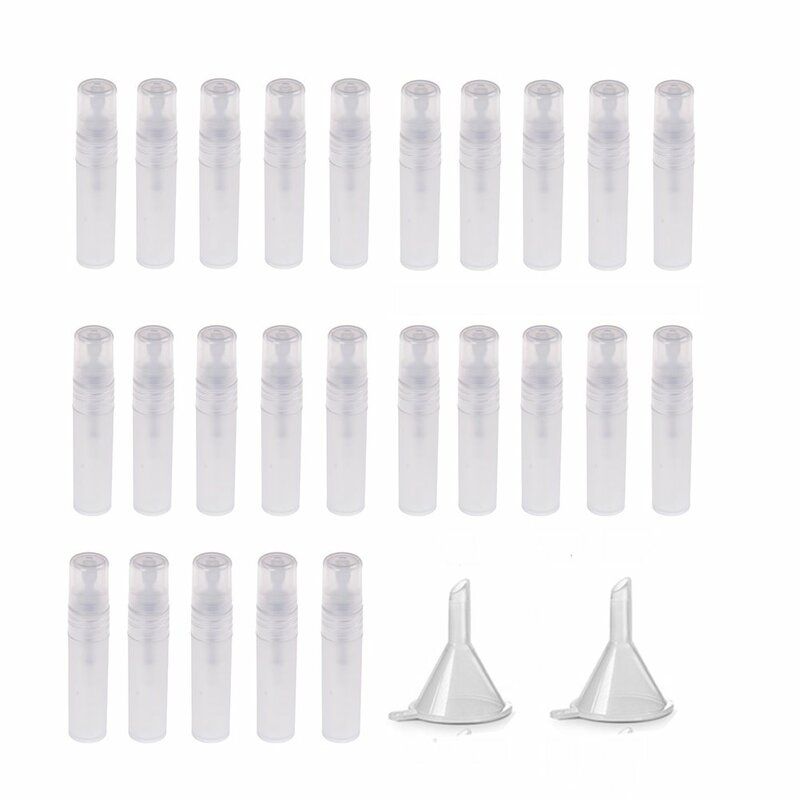 Easy to fill and worked really well.